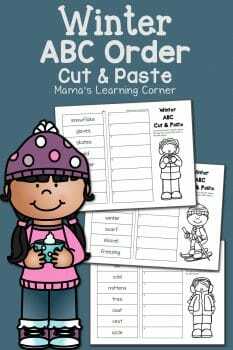 Mama’s Learning Corner has a FREE Winter-Themed ABC Order Cut and Paste Worksheets! These are perfect for the child who needs more practice with ABC order but doesn’t like to write. It’s good practice for the ordering skill as well as good for fine motor skills! Get the Winter Cut and Paste ABC Order Worksheets here!